Find the responsible, knowledgeable individuals in charge of safety at numerous companies and institutions with this database. Pull a consolidated lead list of safety business contacts and start marketing your safety-related product or services within minutes after purchasing it. Market your safety tool, helpful service, emergency communications system, training tools, or other safety-related products to the key decision-makers at multiple large organizations. Help safety managers and employees do their jobs better by telling them about your company's products or services. You can provide them with the tools they need to make their facilities and processes safer through better software, better organization, and better communication. Help them organize maintenance tasks, prevent breakdowns, ensure the safety of entrances and exits, gather their emergency teams, and communicate with the necessary staff in emergency situations. This pre-made directory of business contacts is the perfect way to find a targeted lead list of the people you need to talk to: those working in safety. You can find the safety managers, personnel, and volunteers at many institutions in this one, consolidated email list. 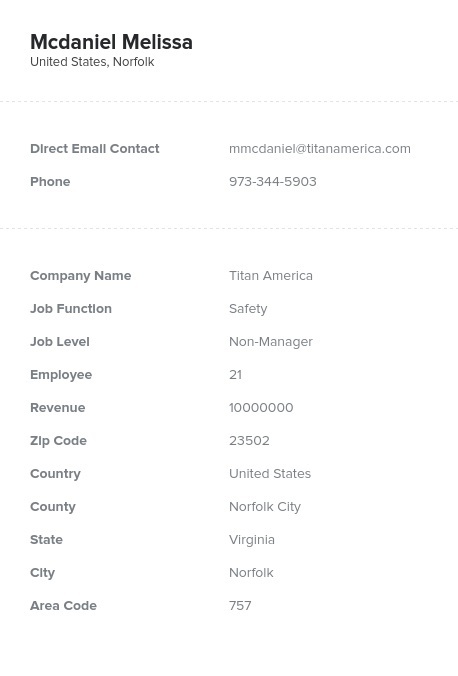 Safety professionals can be contacted through email, over the phone, or even with mail, as Bookyourdata.com's ready-made directory is full of the information you need to let safety professionals know about your company and its products. Pull this list now; it's ready for you to download and install. Try our data product today!